My Teeth Hurt When I Bite down, What Does It Mean? If your teeth hurt when you bite down, there are various reasons that could cause this to happen. You could have an infected tooth or teeth, sensitivity, a TMJ disorder or various other conditions. 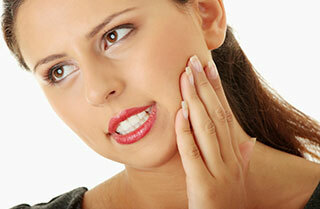 It is very important to visit your dentist if you are experiencing any tooth pain or discomfort. At Prestige Dental, Dr. Bouzoghlanian and his staff are professional and will treat you with the utmost care you deserve! Our caring Pasadena dentist will examine your particular case and will provide you with all the latest technology to help provide you with an accurate diagnosis. Call us today! Lost a Tooth? Your Pasadena Dentist Gives You Options!